For those of you who have children aged 3-5 years, have you ever felt your little one make your patience run out? You are not alone. According to child education experts, pre-school children are indeed in the stage of playing with their abilities which on the one hand can be independent, but on the other hand still, need attention and love. "This age is the most active and frustrating age for parents," said Michele Borba, EdD, author of 'The Big Book of Parenting Solutions'. Orders and routines make your child feel that having a sanctuary from the world they see is unpredictable, "said Child Development Specialist Claire Lerner, as quoted by WebMD." When something is predictable and done routinely, this makes children feel more comfortable and safe. They also become more sweet and calm because they know what will happen, "he added. Solution: As much as possible, try to do everything according to the routine that has been made. Doing that consistently is difficult, especially if you are helped by someone else (babysitter or parent). But ask everyone to take part in making this routine. "Don't let the child get a different message," said the pediatrician Ask Remer Altman, author of 'Mommy Calls: Dr. Tanya Aswers Parents' Top 101 Questions about Babies and Toddlers. Some parents will immediately help their toddler when the little one can't do something. Before doing so, you must understand that by helping a child such as wearing sandals or putting up a puzzle while playing, it can make the child think he or she cannot do it alone or in other words the child is incompetent. "Parents who too often help children do things, they sabotage a child's ability to believe in him," said Betsy Brown Braun, author of 'You're Not the Boss of Me'. Solution: "Parents must teach children to try for themselves," explained Braun. When you do it, of course, you can give him encouragement. "Be a cheerleader for him. You can say, let's get your kid," Brown added. Parents will be easily provoked when they see children doing negative things and don't care too much or even remember positive things children do. "Parents focus on what their children don't want to do. They will say, 'don't hit', 'don't throw', 'don't pee in pants'," Altman explained. Solution: Start paying attention to the positive things that children do and give them gifts if they behave well. The prize does not have to be in the form of goods. Enough with praise or giving them hugs and kisses. "These things can work for pre-school children," Altman said. Altman also exemplifies the form of praise that you can say to children. "I'm happy to see you can be friends with children in the playground". "I'm glad you said thank you when grandma helped you take toys." 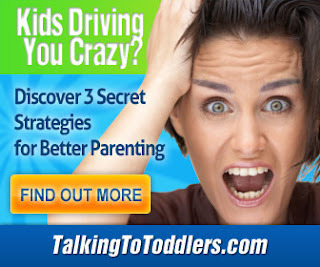 Talking to toddlers can be a way to make them obey and understand something. But this method is not appropriate when they are angry or show a rebellious attitude. "Talking eventually can make a speech-sulking-scream-hit pattern," said Thomas W. Phelan, Ph.D. "Toddlers are not adults. They cannot think logically and they cannot assimilate what you say to them," explained the author of the book '1-2-3 Magic: Effective Discipline for Children 2-12'. 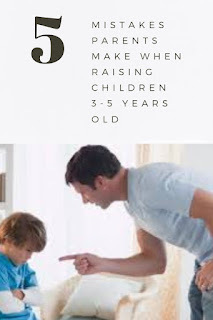 Solution: Phelan suggests, when you ask your child to do something, don't discuss it or make eye contact. If the child doesn't obey, give a warning or count to three. If the child still refuses, give a time-out or immediately give 'punishment', without you having to explain. Many parents feel the need to flood their children with educational programs. Though not necessarily the way children like it. The thing that actually makes children develop at the age of 3-5 years is playing, according to psychologists and authors of 'Playful Parenting', Lawrence J. Cohen, Ph.D.
"By playing the child's brain develops very well. When playing, children will naturally allow themselves to be challenged, not too easy or too heavy," he explained. Solution: Let children have enough playing time. Pre-school children define playing as doing what they are really want to do. "Pre-school children like to do household chores, but they consider playing, not their job. They choose to do it because they like to do it," Cohen said.